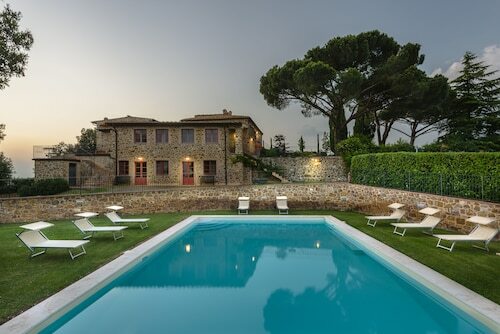 This family-friendly Montalcino hotel is located in the historical district, 8.6 mi (13.8 km) from Fortress of Montalcino, and within 16 mi (25 km) of Mount Amiata Fauna Park and Abbazia di Sant'Antimo. Pienza Cathedral is 22.6 mi (36.4 km) away. How Much is a Hotel Room in Montalcino? 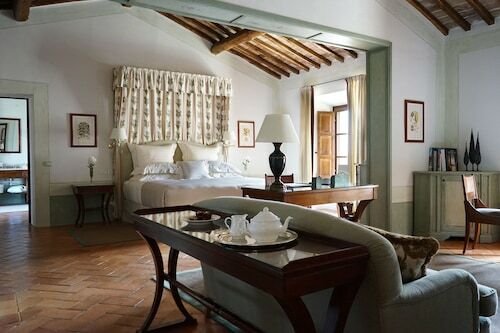 Hotels in Montalcino start at $92 per night. Prices and availability subject to change. Additional terms may apply. 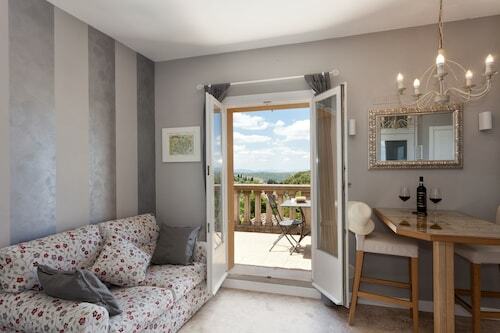 Montalcino boasts a wonderful range of places to rest and relax. 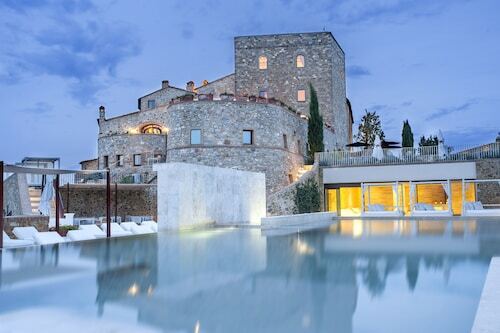 Modern travelers using Travelocity have access to 18 luxury and affordable hotels within a 6-mile (10-kilometer) distance of Montalcino's heart. Explore the area right by downtown Montalcino. 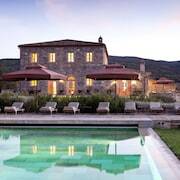 Accommodations around here include Agriturismo Le Ragnaie and SI Montalcino Hotel & Restaurant. If you are chasing budget places to base yourself you might like to try the Agriturismo Le Ragnaie, Residenza Palazzo Saloni and Hotel Dei Capitani. The Castello Banfi - Il Borgo is located 5 miles (8 kilometers) from the downtown area of Montalcino. 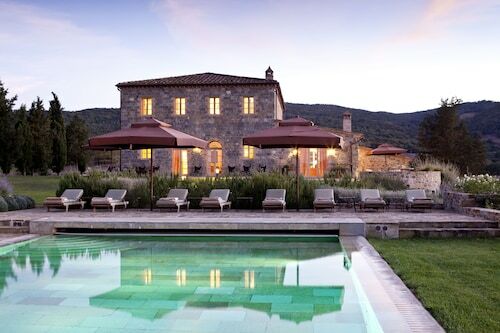 Also, the Rosewood Castiglion del Bosco can be found 4 miles (6 kilometers) away. Other possible hotels and apartment options are the Castello Di Vicarello and the Castello di Velona SPA Resort & Winery. If time allows, adventurous explorers should discover the other cultural and scenic delights of the Tuscany region. Investigate Tuscany's ruins, castles and traditional villages and you can also photograph its rural landscapes, beaches and coastal plains. Visitors and locals alike in this part of Italy adore snowboarding. Val d'Elsa is 30 miles (49 kilometers) to the northwest of Montalcino and boasts Archeological and Collegiate Church Museum and Torre Rognosa. 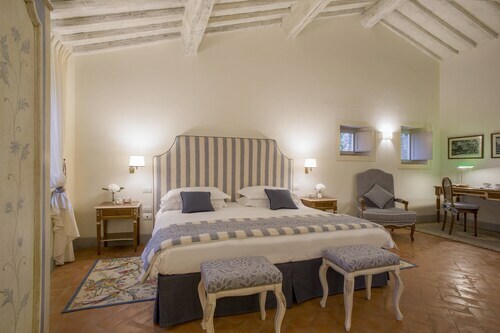 When you want to spend any time in Val d'Elsa, check out the rooms at the Tenuta Di Mensanello and Torraccia di Chiusi. 7 miles (12 kilometers) east of Montalcino, you'll reach Val d'Orcia, which features the Adler Thermae Spa & Wellness Resort and Hotel Osteria Dell Orcia. If you're staying in Val d'Orcia, set aside a little time to visit the Collegiate Church of San Quirico and Palazzo Chigi. If you are always thinking about sport and really like matches you and your family could make a trip to Stadio Artemio Franchi, situated 50 miles (84 kilometers) to the north of Montalcino. If you would like the convenience of checking in to a room in the vicinity, make a reservation in the Four Seasons Hotel Firenze or The St. Regis Florence. Peretola Airport can be found 55 miles (88 kilometers) from Montalcino's downtown. Visitors who would like to find accommodation nearby can reserve a convenient option in the Torre di Bellosguardo or the Sina Villa Medici.